Bentley's Pet Stuff Is On A Roll—expanding In The Last Year From Seven To More Than 30 Stores. But It Was Appearing On The Tv Show “the Profit” That Helped The Stores Uncover The Keys To Growth. Lemonis’ expertise, inspiration and financial support provided just what the couple needed to see that their dreams could be within their reach. Lisa and Giovanni met and married while employed in the mortgage industry, eventually owning their own business. However, Lisa, a lifelong animal lover, envisioned sharing her passion for pet nutrition with others. In 2007, plans were in the works to turn that dream into reality with the opening of a pet supply store. “My goal was to focus on nutrition, offering a broad selection of natural, healthful food and treats, along with a variety of supplies,” Lisa said. The launch of Bentley’s Corner Barkery in early 2008 in Arlington Heights, Ill., coincided with the onset of an epic recession. Initial plans included offering high-end, boutique-type pet supplies, but the economic slowdown halted demand for these items, resulting in a stronger emphasis placed on natural pet foods and supplies. “Lisa shifted the model of our store without hesitation—people are always going to buy pet food,” Giovanni said. Good inventory management has been the secret to growth and has allowed Bentley’s Pet Stuff to maintain its standards on the quality of product it sells, said Giovanni Senafe, vice president of business development. It proved to be a sound strategy. In 2011, the 1,000-square-foot store expanded into an adjacent space, adding 600 square feet. “That was the turning point; we felt we had our feet on the ground,” Lisa said. But more was to come. Bentley’s had grown to four stores by October 2014 when Levy stepped in to invest. The Senafes set their sights on becoming “the” pet supply business across Chicagoland. However, aggressive expansion was outpacing the framework of the business. It was at this point that Lemonis stepped into their lives. Lemonis’ first focused on building company infrastructure, updating software and POS systems and hiring management personnel to handle day-to-day operations. Temporary offices for the leadership team were established at Camping World’s headquarters. 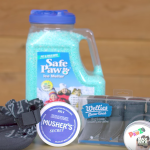 The early 2016 acquisition of Chicago retailer Pet Stuff brought the total number of stores to 15, along with a name change to Bentley’s Pet Stuff. More acquisitions increased that number to more than 30 stores to date. Renovations of new stores create a more uniform design, beginning with the distinctive green paw print on the entrance canopy, but individual layouts vary. “Not every store will fit in the same box; it’s just not reality,” Lisa said. Marcus Lemonis is a hugely successful 43-year-old entrepreneur who has built his RV business into a multibillion-dollar national chain. He started his career with Auto Nation, but in 2003 went out on his own with a company called Freedom Roads, which began acquiring RV dealerships across the country. Three years later, he merged with Camping World and became its CEO; then in 2011, he merged with Good Sam Enterprises. Along the way, he also has invested money and expertise in other businesses that were struggling. In 2013, he became the star of the CNBC reality show “The Profit,” where he searches out small businesses that are faltering but in which he sees hope for a turnaround. He has invested more than $35 million of his own money in companies featured on the show. Lemonis attributes his business success to the three P’s: people, process and product. To lend consistency, enhance customers’ shopping experience and use space more efficiently, Lemonis tapped a professional retail design firm. The result is a brighter, more inviting atmosphere. The effective use of square footage allows for expanded product offerings at broader price points; as a result, sales have increased. Further, with tighter inventory control, categories are stocked properly and remerchandised systematically, and piles of excess product have been eliminated. Higher-margin products enjoy greater display prominence. For example, treats and chews, the most profitable items in the store, are displayed in whimsical Snack Wagons featured in each store. By January 2016, a warehouse of 60,000 square feet had replaced disheveled backrooms and basements, and with 70 percent of product distributed from this centralized source, the company now is able to quickly track and replenish stores’ inventories. As Bentley’s expands to markets in other states, a “hub and spoke” distribution model will supply several states from one facility. The Bentley’s culture of community permeates throughout the business, and once a location is acquired, key people are retained as partners or part owners. Giovanni noted that finding an ideological fit is first and foremost when considering an acquisition, and he has walked away from businesses not considered to be in line with the Bentley’s philosophy. Staff members—the people who work with local pet owners every day—are central to success. Personality and passion are key employee attributes, and new associates are paid $12.25 an hour. “When we opened our first store, we got to know all of our customers from day one, and that’s what we want to replicate at every location, whether it’s an acquisition or a new store; it’s what we hold dear to our hearts,” Lisa said. 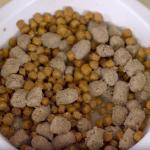 Bentley’s Pet Stuff stands behind its promise of no corn, wheat or soy in a food inventory that encompasses premium raw, freeze dried, dehydrated, canned and kibble. “We try to educate our customers that pets will benefit from higher-quality foods, even if only fed as a treat or topper,” Lisa said. However, Lemonis felt that Lisa’s philosophy on food was too restrictive, eliminating potential customers who might not be able to afford the higher-priced product. He urged her to consider stocking brands at lower price points that still aligned with her ideals. To try and convince Lisa to reconsider her perceptions and expand her offerings, Lemonis took the couple on a field trip to a well-known grocery store brand’s manufacturing facility. While impressed with that they witnessed, Lisa ultimately was able to prove that the answer did not lie in taking short-term revenue by carrying products that did not fit the Bentley’s niche. Defining her standards would provide more equity with customers, she said, with the keys being inventory management and delivering product faster to higher-volume stores. “We just needed to fill our shelves faster because that’s where the demand is,” Lisa said. Lemonis and Levy remain active in the operations of the business, according to the Senafes. The future is wide open for Bentley’s Pet Stuff, according to Giovanni, but there is no agenda or magic number of stores to acquire. The “humble, down-to-earth” speech, which focused on finding one’s calling by reflecting on the past, resonated with the Senafes. At the time, Bentley’s Pet Stuff, then known as Bentley’s Corner Barkery, which had seven stores and an eighth under construction in the Chicago area, was in trouble. When you launch and build your own business, it’s easy to be so close to it that you can’t see the problems that are apparent to an outsider. What’s even harder is listening to and acting on advice from an outsider. But Lisa and Giovanni Senafe took that step when they applied to be on the TV show “The Profit.” And the counseling they got from entrepreneur Marcus Lemonis has set them on a new road to growth. At the core of their business, though, are the high standards Lisa set for the products she would sell, and they have not compromised on that. Combining that with improved management is what made Bentley’s Pet Stuff a clear choice for Pet Product News International’s Retailer of the Year Award. Contributing to the family’s financial crisis, the couple’s son, Sebastian, was experiencing health issues. After downsizing their household seven times in as many years in order to keep themselves and their vision afloat, and in spite of the growth of Bentley’s, the Senafes felt they were at the same starting point as when they opened their first store in 2008. Late one night in July 2015, unbeknownst to Lisa, Giovanni applied online to appear on “The Profit,” where, in each episode, Lemonis, the chairman and CEO of the multibillion-dollar corporation Camping World, seeks struggling businesses in need of cash, endeavoring to turn them around in exchange for a piece of the business and a percentage of the profits. The couple already was drawn to the Camping World model, observing the power in a community of united independents. “When we heard what he did at Camping World, building new stores and acquiring others, with many of the people staying on, we realized that could happen in our industry,” Giovanni said. “Instead of, say, 200 independents going out against the big boxes and mass marketing, what if we all teamed up under one umbrella, kept a little of our own identity, but leveraged the size, the marketing dollars and the infrastructure? Giovanni said that he expected the application to go nowhere, but the show’s producers responded the following day. Upon meeting Lisa and Giovanni, Lemonis found their sincerity and authenticity attractive, and appreciated their philosophy of offering stellar customer service in a people-first, family-business atmosphere. However, he felt the Bentley’s business structure needed a major overhaul and strong leadership. At the time, Bentley’s also had another investor on board, David Levy, founder and president of the pet food distribution company Zeus and Co. Lemonis realized that Levy’s wealth of knowledge and competence in the pet world would dovetail nicely with his own expertise. The episode featuring Bentley’s aired in fall 2015, and Lemonis committed his business acumen, along with $1.7 million in two separate checks, to the Senafes’ vision. The majority of that amount would be used to fund acquisitions and store conversions, with $400,000 earmarked to provide sufficient working capital for Bentley’s and 25 percent equity to Lemonis. The two checks combined brought Lemonis’ equity to 40 percent; however, as the $1.3 million is repaid, that percentage will drop to 25 percent. This article originally appeared in the August 2016 issue of Pet Product News.